Is bottled water or tap water better to drink? The benefits of drinking enough water daily to stay hydrated are unquestionable. In fact, drinking more water seems to be the underlying solution to so many health issues. For example, if you want to lose weight, if you have issues with your skin, if you have a headache or cold symptoms, your first approach should be to drink more water. In general, we can say that water cures and prevents. There is no question that water is the best beverage to drink and we all need to replenish enough water daily to stay hydrated. The question many people have is what type of water to drink. Unless you have access to a well, most people have two main options: bottled water or tap water. The following are just a few of the pros and cons. Drinking bottled water has become a rising trend. In 2016 Americans drank more bottled water than soft drinks for the first time, according to research conducted by the Beverage Marketing Corp. The increase of bottled water consumption is thanks to the increasing concerns about the health effects of sugary beverages. While this is great news, the bottled water industry has its own negative effects, especially on the environment. Last year we drank 11.7 billion gallons of bottled water in the U.S. Just imagine how many plastic bottles that means. Valuable resources are used in the production process of PET bottles, which could be put to better use. Secondly, most people assume that if we recycle our plastic waste we are not doing much harm to the environment but, unfortunately, that is not the case. Almost none of the PET bottles are re-made into new ones. They are only down-cycled into other products, which means that every PET water bottle you buy is made from freshly created plastic. This is an issue because plastic is non-degradable, meaning no living organism will ever be able to decompose it. It will always be, in one form or another, waste on Earth. Almost 22,000 tons of plastic end up in the oceans every day! Take a look at this infographic: “What a Waste! The Absurd Industry of Bottled Water" to learn more revealing facts. If neither the high prices of bottled water or the inconvenience of carrying it home from the store has kept you from buying it, perhaps understanding the critical impact of plastic on the environment will help change your mind. In addition to the environmental effects of bottled water consumption, the health benefits are questionable. Nearly 40 percent of all bottled water is merely reprocessed tap water with chlorine added for disinfection. The bottled water industry is also poorly regulated. The companies can put just about anything they want on the labels and get away with it. So we can't trust that bottled water is free of unhealthy contaminants. Perhaps the biggest benefits of tap water is that it is free and easily accessible. However, many reputable authorities on the internet warn us not to drink tap water because it contains numerous contaminants including chemicals such as chlorine, fluoride and pharmaceutical drugs. 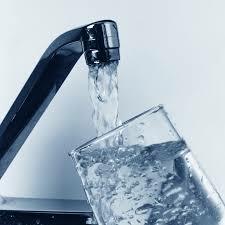 Tap water also contains micro-plastic, a by-product of plastic pollution. Thus, even though tap water is relatively safe to drink because it is disinfected with chlorine, the long-term consumption of all these contaminants is not going to help us stay healthy. The best solution is to buy a water filtering system. Although a quality drinking water system can cost a hundred dollars or more, it is worth the investment and is actually far less expensive when you compare the cost of bottled water over the period of the life of the water system. The water is clean, depending on the quality of the filtration system. To find the best filtration system for your living situation and budget, ask others who have one, compare the different types of drinking water filters, and make the investment in your health and the environment. Fortune.com: Americans Are Now Drinking More Bottled Water than Soda; 2017. TheGuardian.com: Plastic fibres found in tap water around the world, study reveals; 2017.